Most any family has a black sheep among them. Some have a veritable flock. run away as far as possible. Few instances are found where a family will confront its dilemma. The story of the tragic & wasted life of Rev. 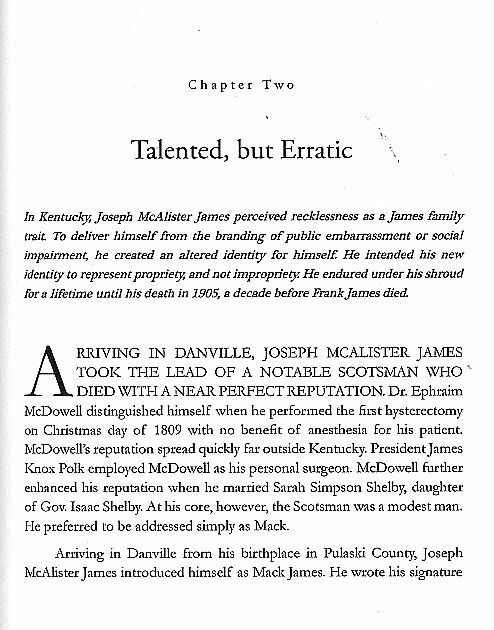 Joseph Martin James, and equally the story of his son Joseph McAlister James, begs the question of secrecy as the best answer. The "talented, but erratic" Joe Martin James today enjoys folkloric stature.